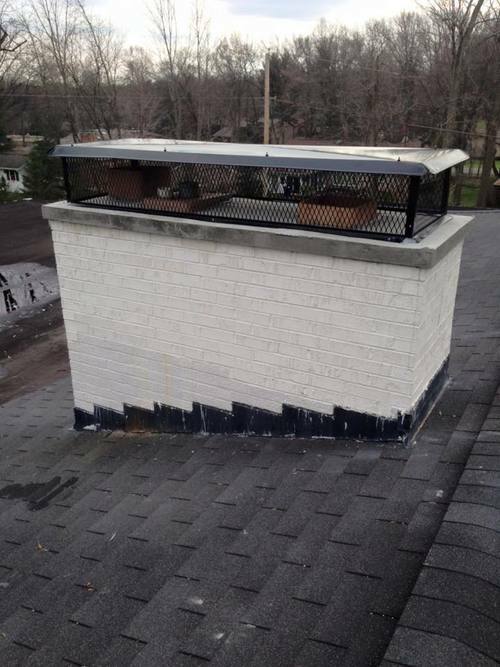 The crown of the chimney is your most important line of defense when it comes to protecting your chimney and fireplace. Most chimneys are made with a mortar crown splay. Mortar does not have the strength to protect your chimney. It also allows water to seep though . 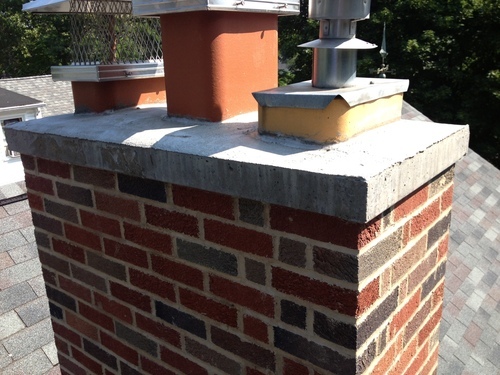 Water intrusion is the major cause of most chimney damage. Usually a mortar crown will also taper down to nothing at the outer edges. These outer edges are where the protection is most important! When water gets into the mortar joints and freezes, the expanding ice will crack the mortar and additional freeze thaw cycles cause additional damage. There are many products on the market to paint over these damaged economy crown with sealants. We have tried most of the popular brands of these sealants and have been very disappointed with the long term results. These sealants are ineffective and quite often fail in the first 3 years. Our crowns are made with concrete. 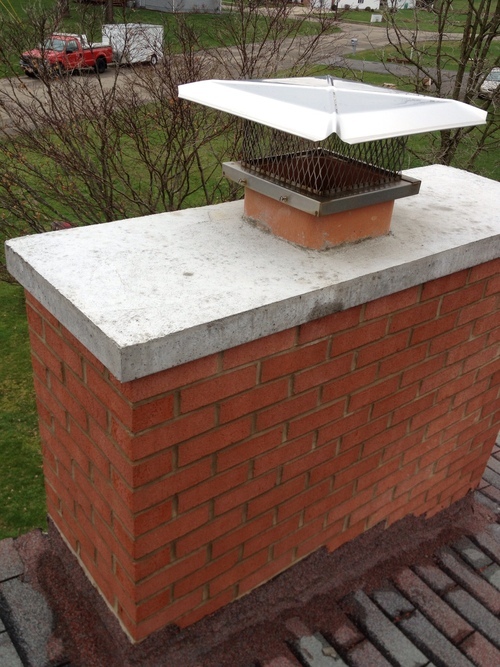 We use forms on the top of the chimney so the concrete can be thick even past the edge of the chimney. This overhanging crown forms a natural drip edge and offers the best protection for your chimney. 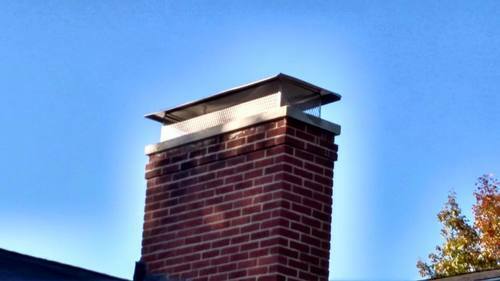 Not only do our crowns protect the chimney but they are really nice looking and add a touch of elegance to your chimney! Applying a proper water sealant to the brick is an often overlooked but very import measure of protection for your chimney. Not all clear masonry sealants are equal! Using an inferior sealant can actually cause more damage! Some of our sealants can actually help reduce moss and algae growth! If you would like to request any of our repair services, or if you would like to schedule a free estimate, please fill out this form and we will get back to you within one business day.